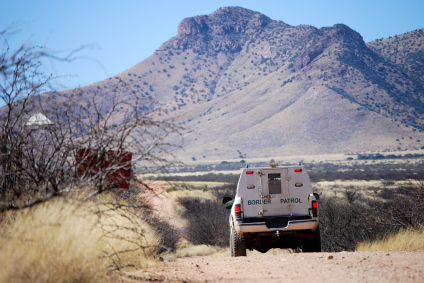 Authorities who protect the nation’s border have long used stun guns on smugglers, migrants and human traffickers. But with so much open space on the Southwest border, the stun guns have posed a problem because they can only reached about eight to 10 feet, the Los Angeles Times reports. Now Border Patrol agents with the Pinal County Sheriff’s Office will soon begin using the Osa handgun, a Russian-designed break-action pistol that fires rubber bullets. The sheriff said fewer people will die as a result. Posted: 12/3/15 at 9:30 AM under News Story.